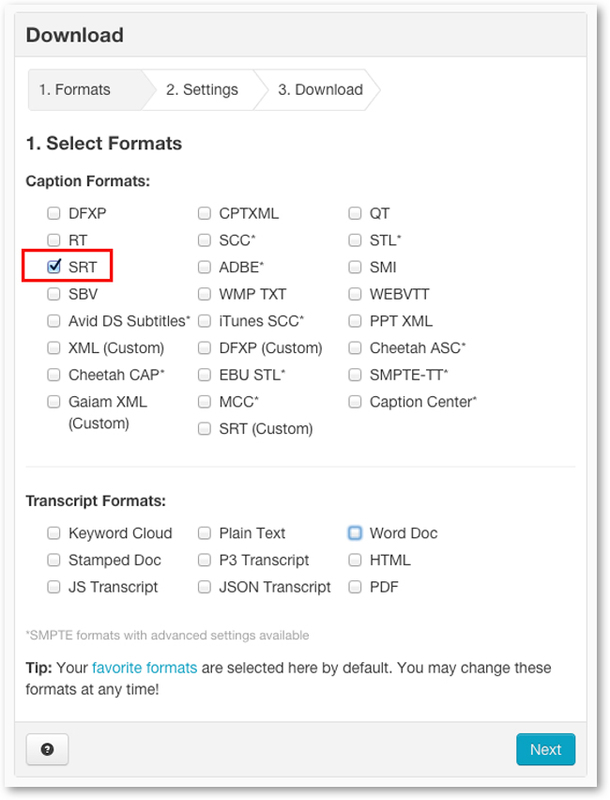 Select the file associated with the Wistia video you have had transcribed. When selected, the box to the left of the filename will become checked and the line will become highlighted in blue. Click on the Download button located above your list of files. From the pop-up menu click the download icon besides the SRT file format. After clicking the icon, click Next and you will go to Settings. For the SRT format, there will be no advanced settings so just hit Next. Next we can name the folder the captions will be saved to. 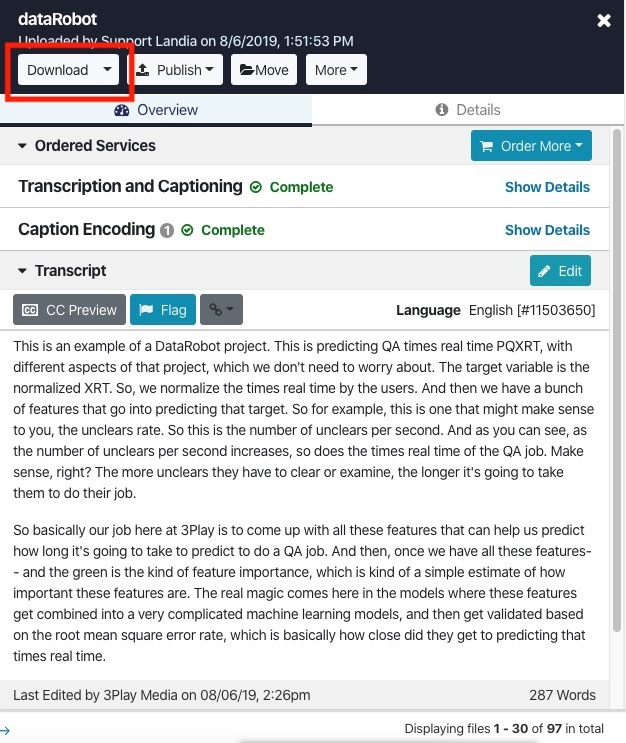 Also you can choose to be notified via email when your captions are done downloading. 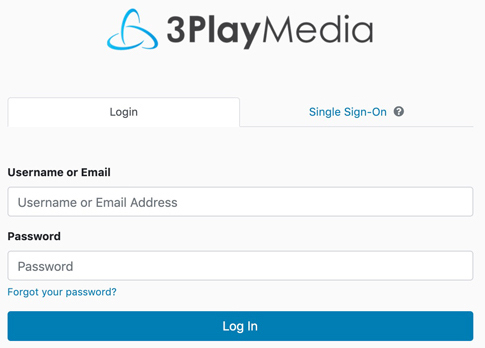 Once you have configured your options, click Create Download. Click on the project containing the video you want to add captions to. Click on the video you want add captions to. 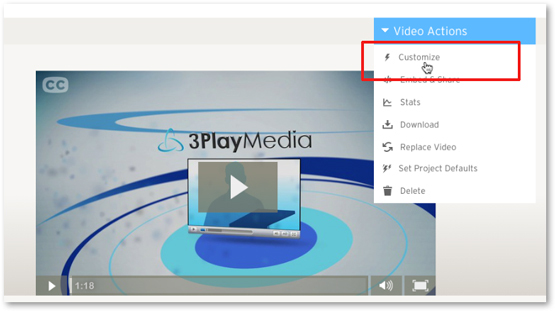 Click Video Actions and from the drop-down menu that appears, click Customize. 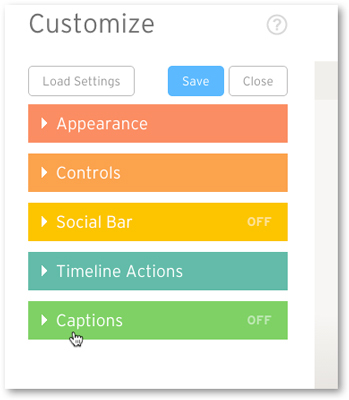 After clicking Customize click Captions located on the left-hand side of the page. 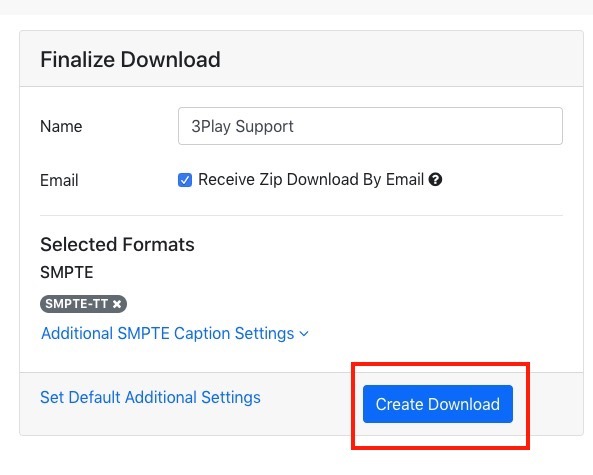 Click Upload and then select the SRT file that was downloaded in step 5. Once added the CC button will appear to all viewers who view the video within your account. The closed captions will now be included with your embed codes, if you are using Wistia's SEO embed code type.